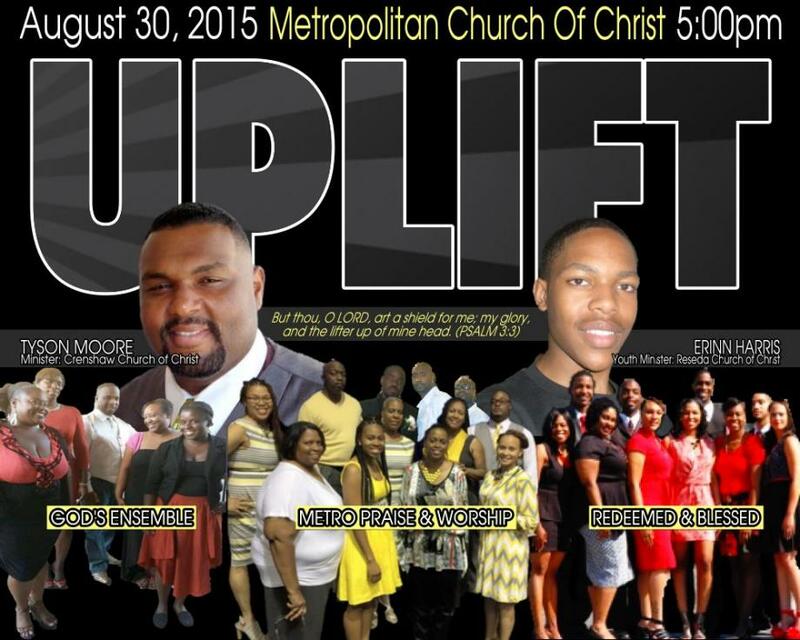 Metropolitan Church of Christ - Uplift 5th Sunday @ 5:00PM! Uplift 5th Sunday @ 5:00PM! 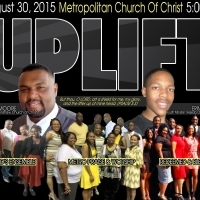 Uplift will be held August 30, 2015 at 5:00 PM. Ministering in the word will be Erinn Harris and Tyson Moore. Our special guest will be Redeemed & Blessed, God's Ensemble, and LA Mass. Of course our own Metro P&W Team and Call Choir will minister.